In the world of elephant, the bigger ones are better then the smaller ones. They will look stronger in front of other elephants. The male African elephants will never stop growing bigger. In average, they can reach the weight around 7.5 tons. Compared to the exotic wooly mammoth, the African elephants have little hair. They are located on the tufts. There is a spongy pad located on the African elephant’s foot. The foot consists of five toes and toenails. What is function of the pad? 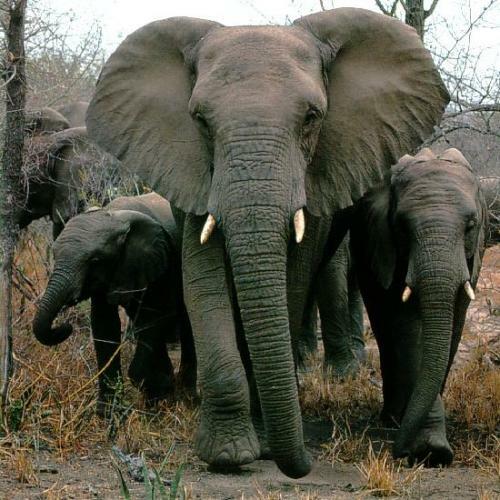 It is beneficial for absorbing the impact when the African elephants walk. The head of African elephant is heavy and big. It is around hundred pounds. To make it light, the neck had additional muscle. The head is created with many small air pockets just like bird bones. When talking about elephant, a trunk should never be left behind. The muscles located on the trunk are around 40,000 to 150,000. There are four molars that an African elephant has. The weight of each molar is around 11 pounds. The length is around 12 inches. If the molar breaks down, it will be replaced with the backward molar. 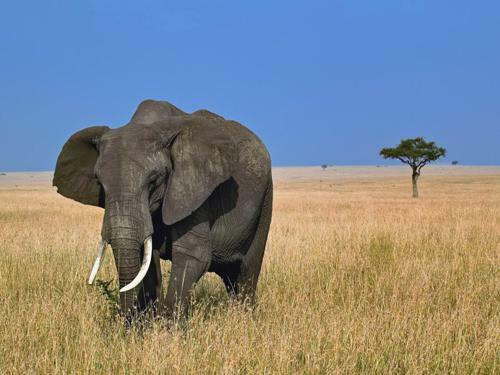 You have to know that an African elephant will replace their teeth around six times. The trunk of an African elephant is very powerful. It can be used to pull out the bark of a tree, pick objects or even kill a lion. However, the elephant will not use their trunk when drinking water. It is only used to draw the water. The social family of an African elephant is matriarch. It means that the leader of the group is the oldest female. 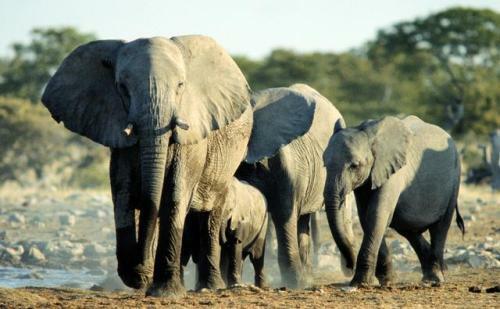 The family consists of the male elephant younger than 14 years old and female elephants. The first calf of a female elephant will be delivered when she reaches 10 to 20 years old. She will deliver another calf in the new 4 or 6 six years. Do you know the way African elephants communicate? They will use a smell, touch and taste. 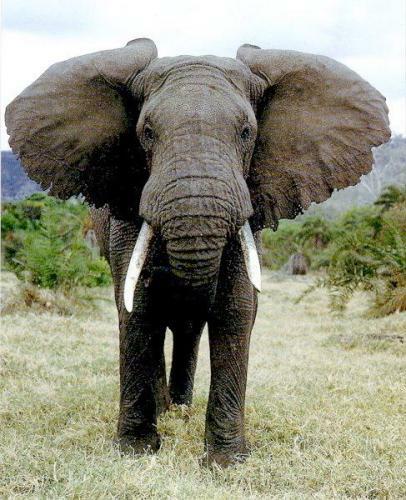 An African elephant can hear the infrasonic sound in 15 hertz. The human hearing ability is around 20 hertz. It makes the elephants capable for travelling in a very long distance without any disturbance on the low frequency of hearing. 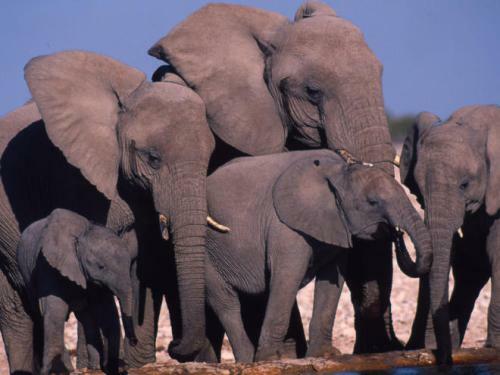 Are you fascinated with facts about African elephants?